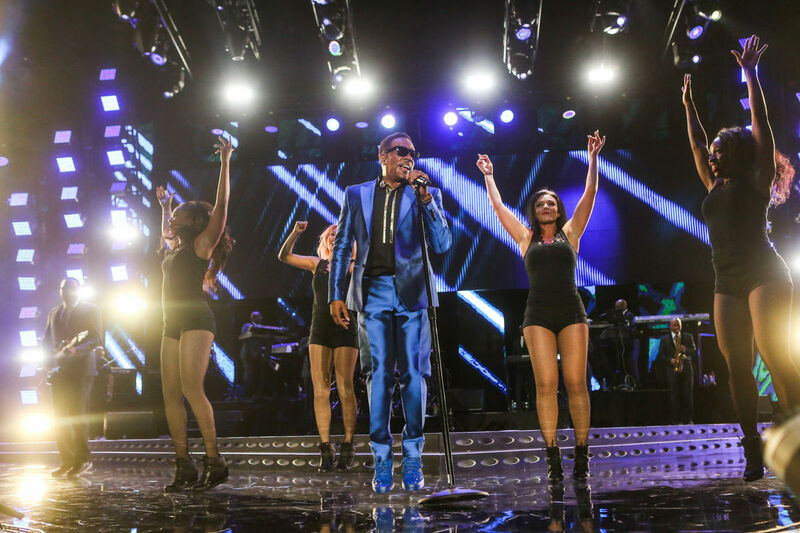 (March 2, 2017 – Los Angeles) – Charlie Wilson is definitely IN IT TO WIN IT with both his current national arena tour and new hit album. The new album, IN IT TO WIN IT, released on February 17 debuted as the #1 R&B Album, #7 Billboard 200 and #2 Billboard Top Album Sales and landed Wilson for the first time at #13 Artist 100 which combines radio airplay, album sales, streaming and social activity. Wilson is no stranger to success having had eight No. 1 singles in Billboard and four Top 10 Billboard albums including three #1 R&B albums, 11 Grammy nominations, and a New York Times and Washington Post best-selling memoir, “I Am Charlie Wilson.” The first single from this album, “I’m Blessed” featuring T.I. is the fastest growing single on the Billboard Adult R&B chart this year and is currently at #7 and continues to climb. And his current 30 city IN IT TO WIN IT arena tour, with special guests Fantasia and Johnny Gill, continues his touring dominance with sold out shows in numerous markets. Hey Buddy!, I found this information for you: "Charlie Wilson Hits Big with Both His “In It To Win It” Tour and New Album". Here is the website link: https://blackmeninamerica.com/charlie-wilson-hits-big-with-both-his-in-it-to-win-it-tour-and-new-album/. Thank you.